Gosh those words together sound borderline poetic. They are probably my top favorite things to consume, and thanks to this recipe I get to rub them all over my body now too! This is my go-to beauty product that I make every week and use in the shower every.single.day. The reason I’m so in love with this scrub is because it’s all natural, easy to make and works wonders. I’m not an expert, but I’ve done my fair share of research in the beauty industry over the years and I’m very confident with the products I use! Both coffee AND sugar are natural exfoliants, whereas many conventional products use acidic properties to remove dead skin. Yuck. 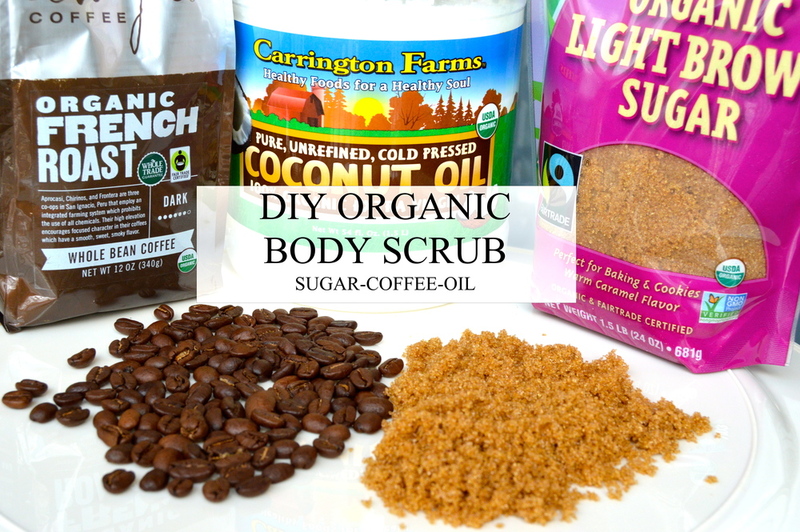 Exfoliating with coffee and sugar will help improve circulation, temporarily reduce the appearance of cellulite and leave your skin incredible soft. Coconut Oil is just amazing. It provides deep and real moisture that binds the sugar and coffee together to create this perfect scrub. Follow this easy step by step guide and you’ll be smelling like sugar coated, coconut coffee in no time! 1. In a small bowl, heat up your coconut oil in the microwave until it’s reached liquid form (about 15 seconds) Let sit for a couple minutes until it cools down a bit. 2. In a medium bowl, combine the ground coffee and sugar followed by the coconut oil. Some people like to add essential oil to this scrub, like vanilla. Add it in now if you choose to do so. I don't feel a need because I love the smell as is!